The Sustainable Farming project, which developed a ‘cow hotel’ model of dairy farming, was creating an ecosystem of sustainable livelihoods for small dairy farmers, securing and increasing their income while also protecting the environment. China was suffering from a milk supply shortage. 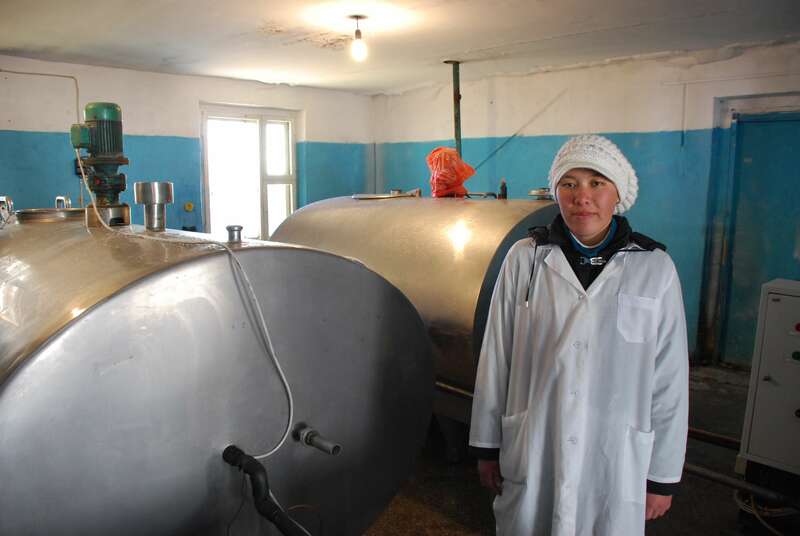 Smallholders were no longer able to sell raw milk to factories directly due to issues with both quality and safety, while overgrazing and grassland desertification in the north of the country were giving rise to environmental degradation and poverty. In this context, Danone Early Life Nutrition China and Danone Dairy China were increasing their production capacity but faced raw milk supply shortages at a time when new government regulations for baby food companies required local milk sourcing. With support from Danone Ecosystem Fund, Danone Early Life Nutrition China, Danone Dairy China and their local partner Heifer, Sustainable Farming China project saw the creation of a ‘cow hotel’ model and an ecosystem of sustainable livelihoods, allowing farmers to diversify revenue streams and increase income through sustainable agriculture and beef farming. Access to markets and micro-credit was also supported. The project improved general farming practices and mitigated the risk of desertification in the North of China by regulating wild grazing. Danone ELN and Dairy China secured their milk sourcing and developed privileged relationships with farmers, diversifying the supply and increasing the general quality of milk. The project is now independent and has been handed over in 2016.